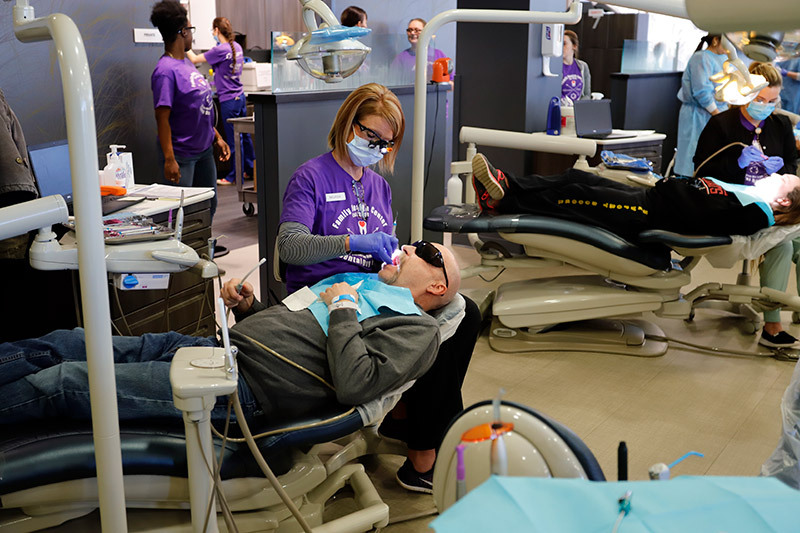 On behalf of over 300 Kalamazoo County residents who received 829 desperately needed dental services last weekend at the Dental Day of Caring, THANK YOU!! 250 of you gave up your Saturday to help make a real difference in the lives of people who are struggling and in need of proper dental care. We are proud to say that, because of YOU, our event was an overwhelming success! Thank you for joining the FHC Volunteer Team -- we are delighted to consider you part of our family and look forward to seeing you again soon.